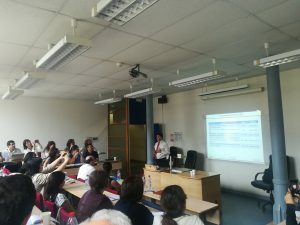 The Lyon Workshop under the Project Year 2 of the Erasmus+ Project on “Promoting internationalization of research through establishment and operationalization of Cycle 3 Quality Assurance System in line with the European Integration (C3QA)” took place between 30-31st May, 2018 in Lyon, France hosted by the project partner University of Jean Moulin Lyon 3 (UJM). 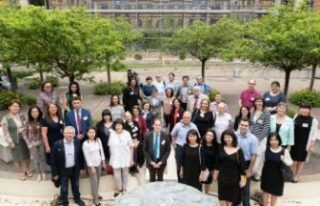 The Lyon workshop was aimed at developing IQA and EQA for Doctoral (Cycle 3) Programs based on the results gathered while elaborating the Syntheses of the Issues and Propositions on Improvement of Legal Framework. 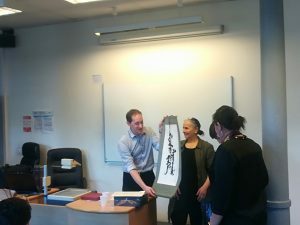 The workshop was launched by the welcome note by Jacques Comby, President of the Jean Moulin Lyon 3 University who greeted all the participants wishing the partners enjoyable stay in Lyon and successful results of the workshop. Afterwards, the state of affairs regarding the C3QA Project’s achieved outcomes and activities foreseen for the second half of 2018 and the whole 2019 were presented by Mr. Arayik Navoyan, Coordinator of the C3QA project, Vice-rector of UFAR. 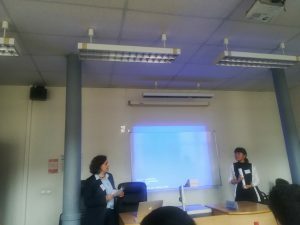 Furthermore, major achievements of the project and further greetings were extended to the partners by Guillaume Rousset (Jean Moulin Lyon 3 University) as well as Solange Pisarz and Francois Pernot (HCERES). 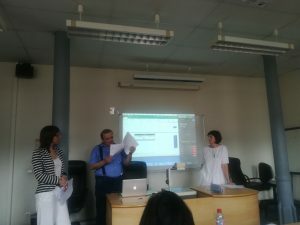 The workshop was then continued by the presentation of the 4 experiences of application of Internal Quality Assurance tools by the partners from France, Spain, Poland, and Armenia (ANQA). The session was later followed by parallel practical workshops on identifying the Internal Quality Assurance tools for each partner country and the results were gathered via digital voting and were displayed via statistical charts synthesizing the workshop results per each country. 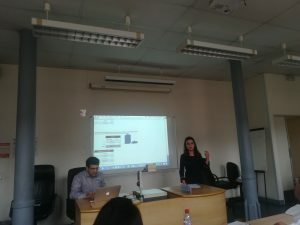 In order to highlight the importance of inter-project coaching Mrs. Ruzanna Minasyan, the representative from Yerevan State Academy of Fine Arts shared the experience and results of the Tempus VERITAS Project implemented in Armenia. 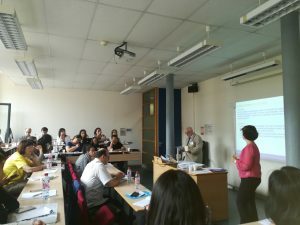 The 2nd workshop day was focused on the External Quality Assurance Assessment Tools and addressed the situation on quality assurance of doctoral programs in Europe, diversity and common frames, as well as implementation of ESG PART2 by Spain (AQU) and France (HCERES) as delivered by Francois Pernot and Solange Pisarz, who also introduced several aspects on the ESG PART3 via digital voting. The participants from partner countries also drafted their ideal or actual implementation of ESG PART2 and presented the syntheses of their drafts and discussion results per each partner country. The culmination of the workshop was the Coordination meeting organized by the project’s EMT and presented by Mr. Arayik Navoyan addressing major issues on the project’s next activities for the second half of 2018 and the whole 2019, project financial situation and project communication. The Project’s Coordination meeting was summed up by approving the timeline of activities and setting the deadlines in terms of the upcoming meetings in Astana, Kazakhstan in 2018 and Ulaanbaatar, Mongolia in 2019. At the closing of the Coordination meeting Mr. Arayik Navoyan thanked all the participants for their presence and active contribution, as well as thanked the partners from UJM for the successful organization of the Alcala Workshop.